NEW YORK – Attorney General Barbara D. Underwood announced that GoFundMe has launched a centralized GoFundMe hub for all verified campaigns related to last week's limo accident in Schoharie, which claimed the lives of 20 New Yorkers. The centralized hub followed conversations between the Attorney General's office and GoFundMe; all funding campaigns listed on the page have been verified by GoFundMe to ensure donations are, in fact, going to beneficiaries of the victims. "New Yorkers are heartbroken by the Schoharie tragedy – and are eager to support the victims' families as they deal with this unfathomable loss. We're grateful to GoFundMe for partnering with our office and creating this centralized hub for verified campaigns, so that New Yorkers can rest assured that their donations will indeed support the victims' families," said Attorney General Underwood. "I urge New Yorkers to protect themselves by following our charitable giving tips whenever considering a donation." "Our hearts go out to everyone who lost a loved one in this horrific crash," said Daniel Gordon, GoFundMe VP of Trust, Policy and Communications. "GoFundMe guarantees that every dollar donated will be transferred directly to the appropriate person. It's important to remember that when a GoFundMe is created on behalf of another individual, the funds are only released to the person intended as the beneficiary and the GoFundMe organizer does not have access to the funds. We have reviewed all the related GoFundMe campaigns and are working with all parties to ensure the money goes directly to the victims and surviving family members of this tragedy." Take Time To Research The Organization. Make sure you are familiar with the organization, its mission, and its effectiveness before giving. Always ask for information in writing – be wary if an organization will not provide information about charitable programs and finances upon request. Any legitimate organization will be happy to send you information. 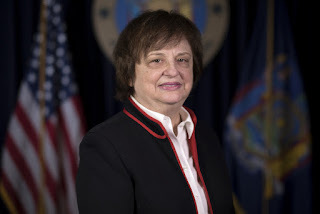 Check the Attorney General's website – www.charitiesnys.com – to ensure that the organization is registered with the Charities Bureau, and to learn more about its mission and finances. Know Where Your Money Will Go. Find out from the charity what it will do with your money. Review the charity's financial reports for information about how it spends donations. If you have been contacted by a telemarketer, review Pennies for Charity, the New York Attorney General's annual report of fundraising campaigns in New York, to see how much is spent on fundraising and how much has been kept by the charity. Ask specifically how the charity plans to use your donation, including the services and organizations your donation will support. Ask if the charity already has worked in the affected local area or has relationships with any local relief organizations. Also, ask what the charity plans to do with any excess donations. Avoid charities that make emotional appeals but are vague in answering your questions. Be wary if an organization will not provide written information about its charitable programs and finances upon request. Any legitimate organization will be glad to send you this information. Give to Established Charities. Donate to organizations you are familiar with, or that have experience assisting in disaster relief. Get information about charities that pop up solely in response to a disaster or those with unfamiliar names. Be Cautious With Telephone Solicitations. Telephone calls asking for donations to charity are often made by a professional fundraiser who is required to register with the Charities Bureau. Remember – you can always hang up. If you choose not to end the call, ask whether the telemarketer is registered, how much of your donation will go to charity, and how much the telemarketer is being paid. Many telemarketers receive most of the money they raise. Giving directly to a charity avoids those costs. Check Before You Text A Contribution. Check the charity's website or call the charity to confirm it has authorized contributions to be made via text message. One thing to keep in mind is that donations via text messaging may not reach the charity until after your phone bill is paid. It may be faster to contribute directly to the charity. Check Before Donating to an Online Giving Site. Make sure your contribution to campaigns set up by individuals on sites such as GoFundMe or CrowdRise will go to charity and not to the person raising the funds. Don't Respond to Unsolicited Spam Emails. These formats are usually not associated with legitimate charities. Check the Department of Homeland Security's tips, such as Avoiding Social Engineering and Phishing Attacks, that are posted here. Never Give Cash. Give your contribution by credit card or a check made payable to the charity. Be Careful About Personal Information. Avoid giving credit card or personal information over the phone or by text message. In all cases, make sure you are familiar with the organization and check to see that the fundraising campaign is legitimate before donating.